Robnor ResinLab Ltd, leading formulator of epoxy and polyurethane resin systems, is delighted to confirm its presence at the 2017 Graphene Week Conference. 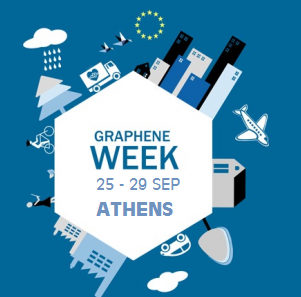 Taking place at the Divani Caravel Hotel in Athens between September 25th and 29th, Graphene Week is an annual gathering of Graphene Technology Leaders. Robnor ResinLab will be located on stand no 2 alongside fellow partners of the EU funded Polygraph Project. The objective of the Polygraph project is to develop new production techniques to deliver industrial scale quantities of graphene-reinforced thermosetting polymers. Robnor’s role within this research project has been to lead the formulation development work and to date has developed several unique adhesives with enhanced properties. To learn more about the graphite and graphene resins Robnor ResinLab has developed, we invite visitors to meet us on Stand 2 at Graphene Week 2017. To pre-arrange a meeting please email info@robnor.co.uk or call +44 (0) 1793 823741.